Wednesday, April 25 is Save Student Newsrooms Day, which is meant to raise awareness for the importance of student media around the country. On this episode of Dorks Estate, Morgan Willis speaks with science and tech editor Mitchell Atencio about March Mammal Madness. The bracket was started by ASU professor Katie Hinde, and is a series of fictional combat scenarios between animals. The bracket for this year also featured some controversial non-mammal contestants. On this episode of Dorks Estate, Morgan Willis speaks with science and tech reporter Sabine Galvis about her article on the fatal autonomous vehicle accident in Tempe. A women was struck by an Uber self-driving vehicle while walking her bike across a street. This was the first pedestrian death caused by a self-driving vehicle. A video of the accident has been released by the Tempe Police. ASU Archivist Robert Spindler poses during an interview on Friday, Sept. 1, 2017. Morgan Willis speaks with State Press Politics Editors Alexis Egeland and Mitchell Atencio about how an ASU student, Alexa Scholl, was elected to the Prescott City Council. On this episode of The Forks Estate, State Press Politics Editors Alexis Egeland and Mitchell Atencio talk about the implications of Jeff Flake's announcement that he will be seeking re-election in 2018. On this episode of The Forks Estate, State Press Politics Editors Alexis Egeland and Mitchell Atencio give a rundown of the biggest politics stories from the last week. 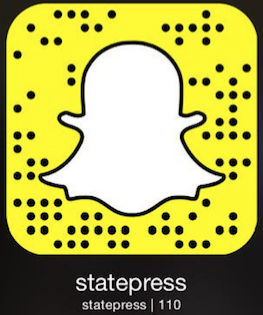 On this episode of The Forks Estate, State Press podcast editor Morgan Willis speaks with State Press politics editors Alexis Egeland and Mitchell Atencio. They talk about why the Arizona Attorney General is suing the Arizona Board of Regents and discuss the possible implications for ASU and its students. The meeting referenced with Michael Crow occurred on Wednesday, Sept. 20, 2017. On this episode of The Forks Estate, Morgan Willis has a conversation with State Press politics editor Mitchell Atencio and reporter Brooke Hanrahan. We discussed how they dealt with covering President Trump’s rally in Phoenix and what the potential implications are. Texting and driving can be just as dangerous as drunk driving. Distracted driving can be just as dangerous as drunk driving. Texting while driving, for example, is just as dangerous as getting behind the wheel after drinking four beers, according to the Brain Injury Society. Additionally, you increase your chances of crashing by 23 percent when texting while driving. The whole idea of Calexit is, at best, absurd. There are an abundant amount of problems with secession, and it would negatively affect Californian ASU students. Privacy is quickly becoming a thing of the past.